The transport sector is one of the first emitters of greenhouse gas and pollutants in the atmosphere, which are responsible for global warming! 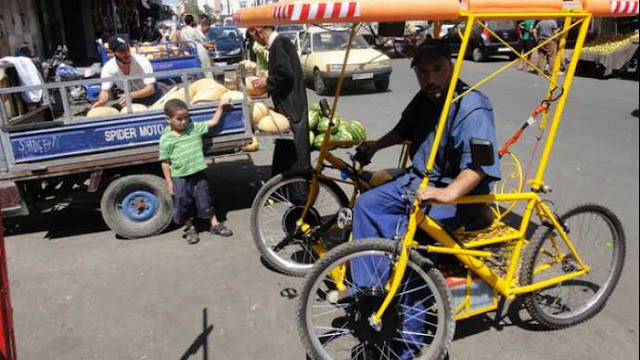 The accessibility of an affordable transportation is some sort of a dream in the under-developed and developing countries. People, living in remote areas have hard times for survival and satisfying the daily needs. This becomes an important issue in the African region, where it badly requires an easy and simple vehicle, for some women and girls walk several kilometres each day for access to water, this could be an absolute lifesaver in these regions. Affordability of an electric vehicle is quite far from the reach of a common person due to the cost of a panel, storage battery and its electric motor. According to estimates, the population growth in Africa expected to achieve around 3.5 billion people by the end of this century. 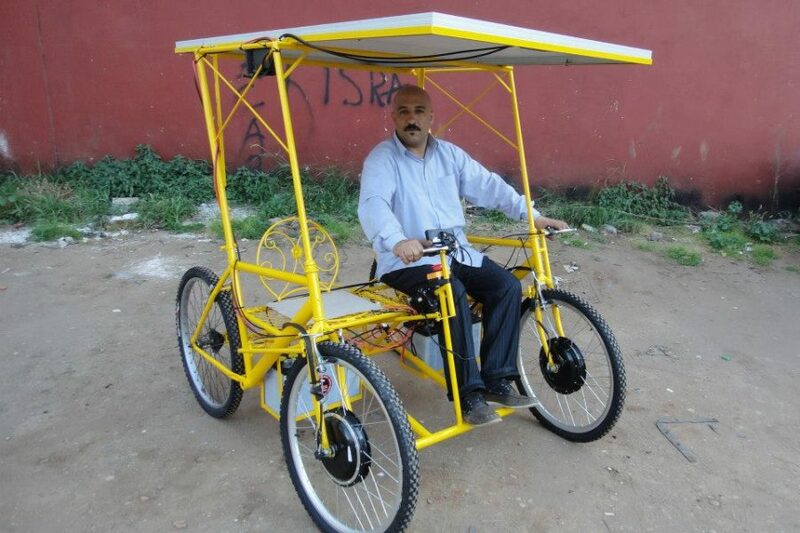 With an aim of connecting the solar powered electric cycle to masses, the creator of the ‘Solar-E-Cycle’, the company Steinrich Cycles, is really doing a commendable social initiative in the African market. 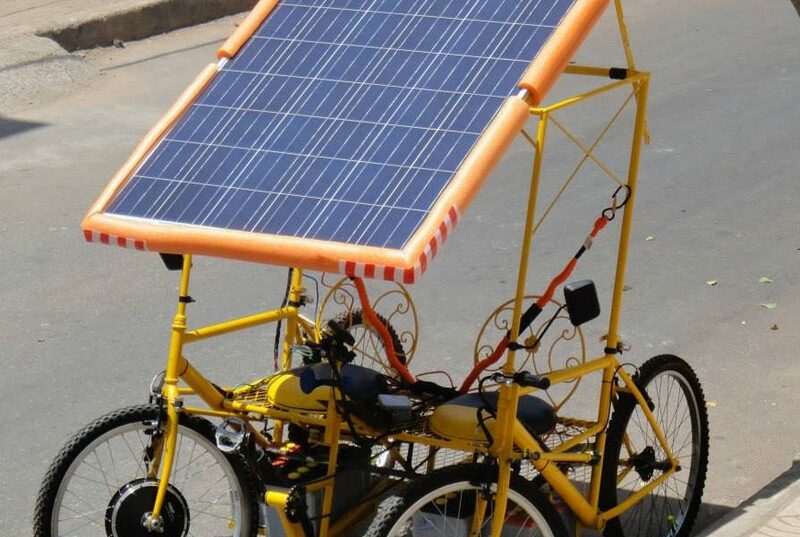 Connected by a metal bar, an e-cycle made from the two recycled bicycles with a bench and a solar panel installed on the top to charge the battery. It is quite interesting to know this simple idea, which has a potential to inspire many innovators across the globe. The vehicle can accommodate three passengers and carry up to 300 kg load. 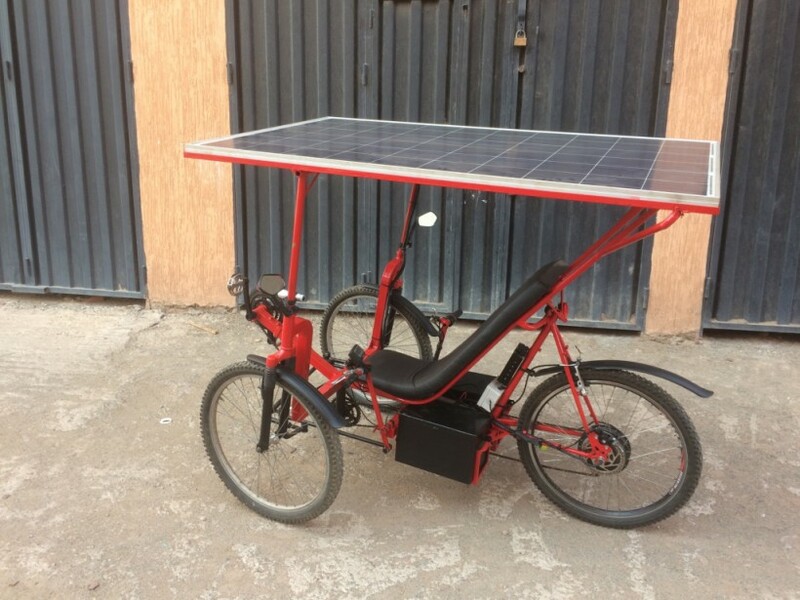 It can reach a speed of 40 km/h and has a capability to cover about 50 km in a single charge, makes best suitable for various functions, such as – simple transportation, the delivery of goods, street trading, waste collection, for rural off-grid applications in Africa. "You can either charge your phone or connect a lamp or water pump. Or plug in a small sewing machine or hair cutting machine and turn it into a source of income, "says Roger Christen, co-founder of the startup in Morocco. He proposes to rent the vehicle for between $ 50 and $ 1 a day. 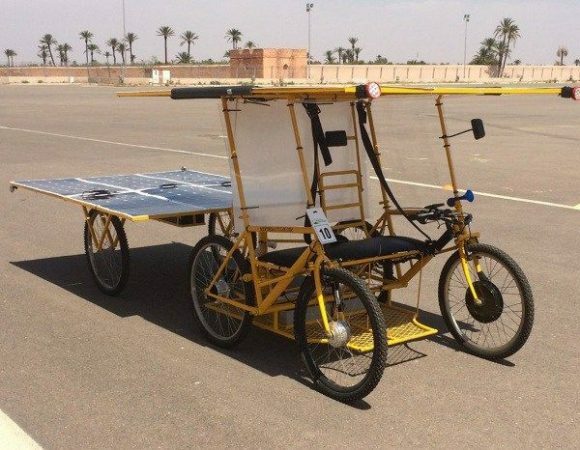 The Solar-E-Cycle needs very little maintenance and operating expenditure and offers attracting benefits compared to the traditional mode of transpiration that relies on fossil fuels. That’s also without any waste, cheaper option and could service the major portion of the population in remote regions. In fact, it can be used in urban areas that have air pollution and traffic menace. 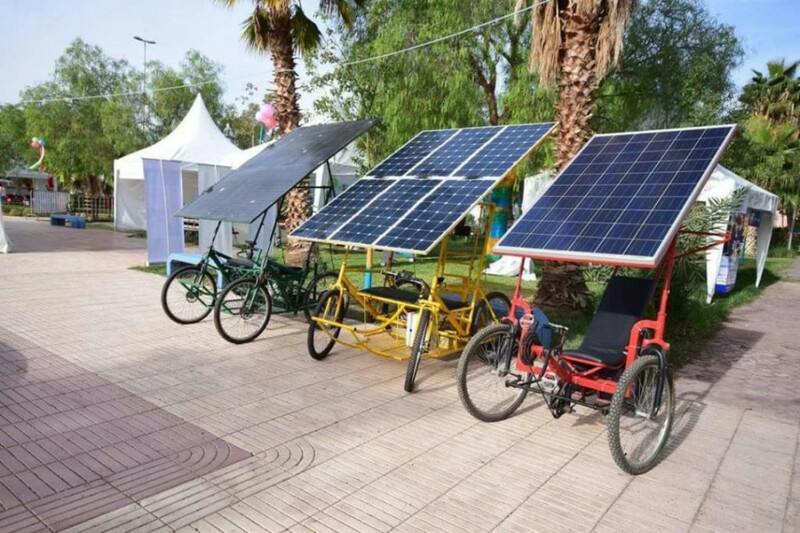 You can also generate electricity by using solar PV Solar-E-Cycle at your home, which will improve the quality of life, education and health of all family members. It is really a great contributor of positive impact on people’s life with time saving, health benefits, favourable economy and overall growth of the society.